Andrej Karpathy, the newly minted Director of AI at Tesla wants to give a new spin to the automotive company in autopilot role. Karpathy, a Stanford alumnus is a deep learning and computer vision expert who joined OpenAI as a Research Scientist will now employ his deep learning skills in building Tesla’s Autopilot effort. 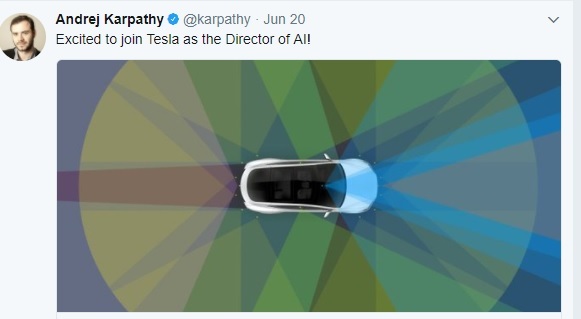 Pegged as one of the leading minds in AI, as the new Director of AI and Autopilot Vision, Karpathy will report to Musk directly, but he will also work closely with Tesla’s Jim Keller, who previously led Tesla’s Autopilot hardware division. Currently, Keller oversees both hardware and software division for the automaker’s vehicle automated driver assistance features. Over the last year, Tesla has seen several high profile exits from its self-driving executive team. Earlier this year, former Tesla Director of Hardware Engineering Satish Jeyachandran joined Google. News reports suggest Jeyachandran left Elon Musk’s company in March ar after seven years developing Autopilot computer and camera systems. He is also the first Tesla executive to join Waymo. 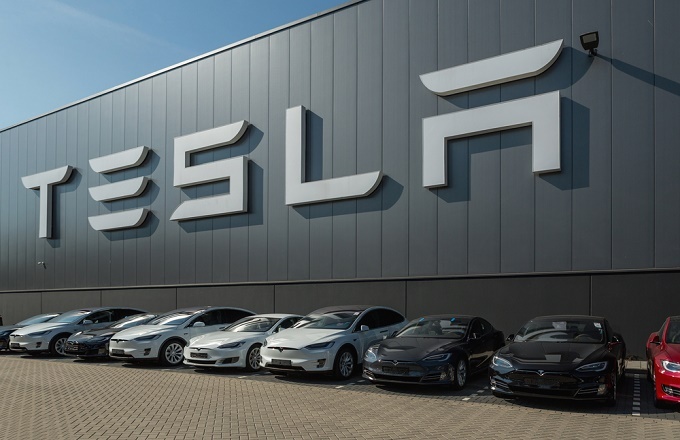 Earlier in the year, Tesla VP of Autopilot Software Chris Lattner, a longtime Apple executive left the company just six months after joining, saying it wasn’t a good fit for him. Chris Lattner, an old Apple executive is credited for developing Apple’s popular programming language Swift. Rumours are swirling around that Lattner was approached by Uber to join the self-driving team. Karpathy will be stepping into Lattner’s shoes and is appointed as his replacement. Though Karpathy, who is hailed as a leading mind in deep learning and has a PhD from Stanford, has little prior experience to back him up. The young computer vision expert has had three internships at Google and work experience stretches to OpenAI. His other accomplishments include designing a new Stanford class on Convolutional Neural Networks for Visual Recognition with Fei Fei Li. With back-to-back high-profile exits Musk’s Tesla is coming under increasing pressure to step up the game in the highly competitive self-driving market. 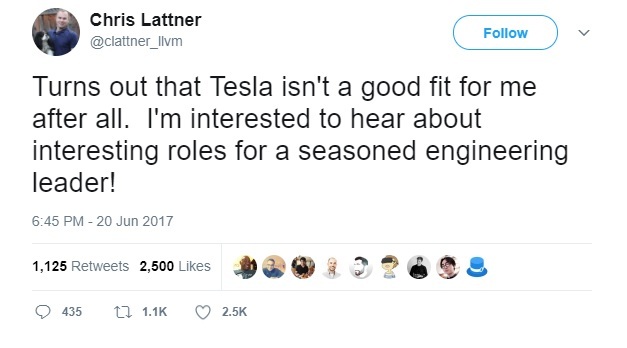 Karpathy has already worked with Musk in his role at OpenAI and he is billed to head the software development at Tesla. What he lacks is the experience of running a team and meeting crucial deadlines. For now, everybody is keeping a score of exits at Tesla. 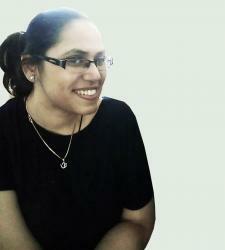 Why is Swiggy keen on strengthening its data science and machine learning capabilities? 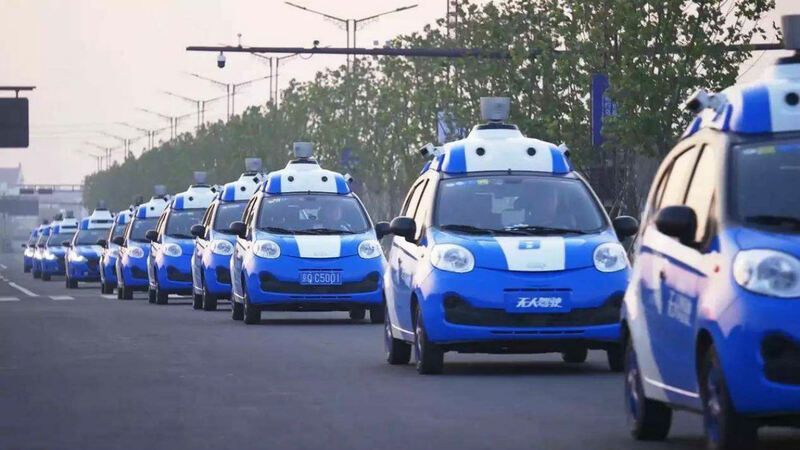 Baidu open sources driverless car technology to establish market dominance — is Google, Tesla rattled?